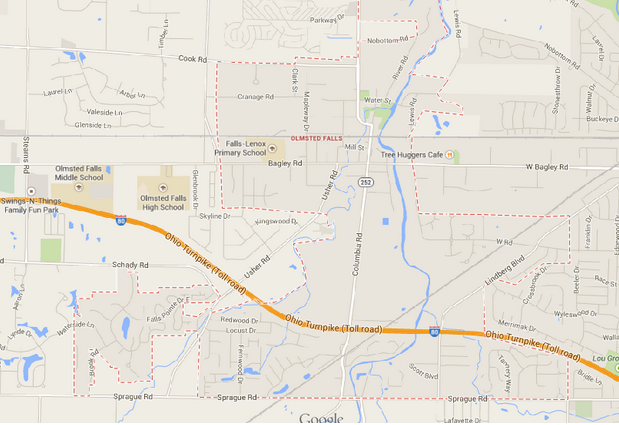 Why use Olmsted Falls, OH Property Management company? Why use an Olmsted Falls, OH Property Management company? Consider the following. You can feel secure as you use our Olmsted Falls professional services which work as a system to protect you while maximizing your return on your rental property. Owner clients have reduced risk with our leasing and tenant guarantees as well as our easy out contract. Save money and get your house leased quickly with our professional videos, pictures and descriptions being exposed on 100s of websites and way more. Realty Trust Services 7 point screening process gives owners the best possible chance of getting a great tenant. Rely on our experience to most efficiently prepare your house for rent and select an ideal rental rate. Property owners can rest easy, and get an uninterrupted night’s rest, knowing our 24 x 7 take that midnight call and dispatch help as necessary. Be in the know and head off potential issues before with exhaustive property walk through video reports. We handle all bothersome collection and emotionally draining collections calls so focus on family and business. No stress this year when you prepare your taxes because all of the reports will be neatly delivered with your 1099. You have the option to lease, rent to own, and / or sell your home, simultaneously, if you want. The county auditor may impose upon any person who violates this section a special assessment on the residential rental property that is the subject of the violation that is not less than fifty dollars or more than one hundred fifty dollars. Such special assessment may be appealed to the county board of revision. http://codes.ohio.gov/orc/5323.99 Ohio Revised Code Rental Registration Law: http://codes.ohio.gov/orc/5323. How to go about changing the address on tax bills: First go to their website treasurer.cuyahogacounty.us. Second, find in the middle of the page forms or links for a change of address. Lastly, once information is submitted the change will take approximately 24 hours to become in effect. Or http://rtsl.us/psr- will take you right to the form that you need to electronically submit. Notes: The bill can be put into either landlord or tenant’s name, there is an automatic $100.00 security deposit. This deposit is only used to go toward a final bill, it otherwise is non refundable. You would need to provide a lease agreement. Notes: It is up to landlord, if they want to keep utilities in their names that is fine, they can also have utilities in the tenant’s name. Tenant may need to show proof of residency if there is an outstanding balance owed. The security deposit is determined on roughly how much the properties usage will be. Security deposit can be added to first month’s bill and if switched into tenant’s name, within a year the security deposit will be transferred back by check. Olmsted Falls is a city in Cuyahoga county. It is pretty small and according to the 2010 Census, the population was 9,024. The city’s main business is the Grand Pacific Junction which is a historic shopping center. The city has a total area of 4.12 square miles. The zip code is 44138.